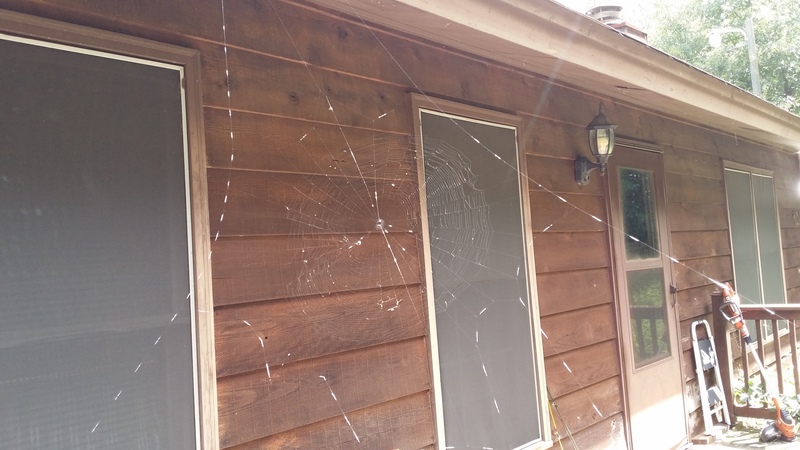 Every year about this time, we start getting lots of spider webs in the yard. We’ve noticed they are the same type that reappear each year about this time. They are spiny orb weaver spiders. 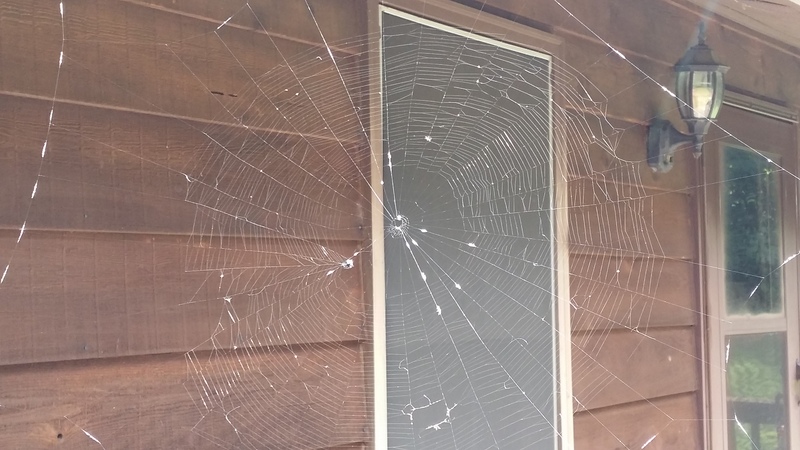 Here is a pic of one of the webs that was on our front porch. This poor guy started out as you see in the pic. Then over the next week he would tear down his web and move. 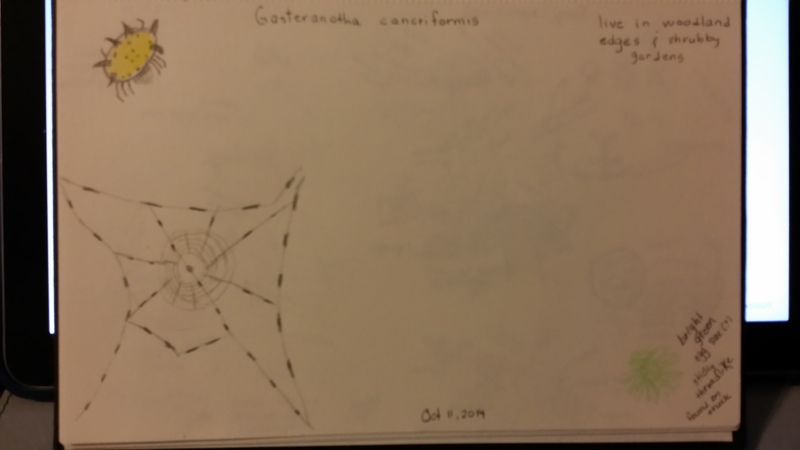 Several times it looked like he had made the web so that it was parallel to the ground like a piece of paper laying down. I haven’t seen him in several days so I guess he wasn’t catching enough in his spot. I’ve also seen them in among our trees and yesterday I saw a spider put his web almost in directly in front of another web. Talk about competition. After looking them up, I found they are not poisonous because no spider is. However, all spiders are venomous though only some have adverse effects on humans. This little spider is harmless to us. They look almost crab-like since they have a spikey looking shell on their back. It is hard to see their bodies. There is all kinds of information and pictures on the web. Here is my journal entry.